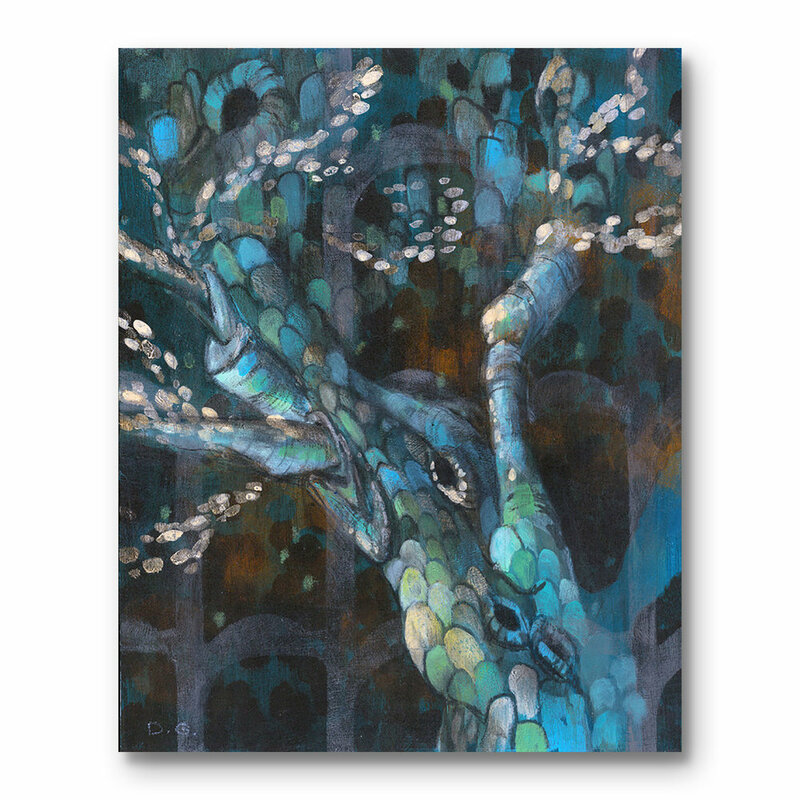 These works exaggerate and abstract the inherent qualities of trees and attempt to unveil their hidden mysteries. They are developed with thin layers of paint, striking patterns, brilliant colors, and distinctly organic charcoal lines. Each piece is like a portrait; they are meant to display the subjects in their best light, show a glimpse of their soul, and give them a sense of immortality.